Awake and quench your Higher Self. Break the chain of fatigue. Raise your vibration and frequency Shed your personal weight of negativities all by yourself using this APP. Experience Ancient Wisdom and Possibilities. Increase your level of motivation, while tapping into the Quantum Field. Expand beyond your own perception of self limitations. Optimize the vision of your MIND to gain full capacity. Exploit your mind's full potential and capability. 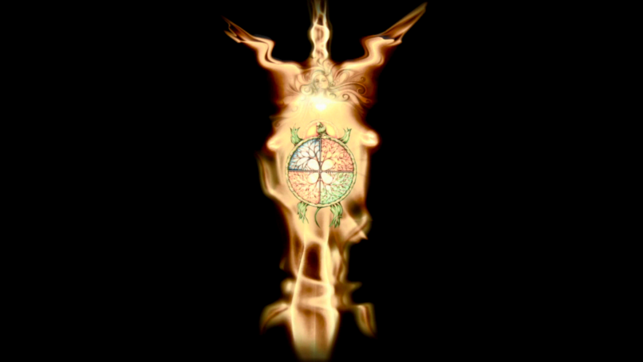 Train, categorize and identify your vibrational essence of being. Establish a permanent connection and tap directly into the unlimited Quantum Field knowledge. Shed the veil of conventional thinking, rational and relink your system to the Universe. 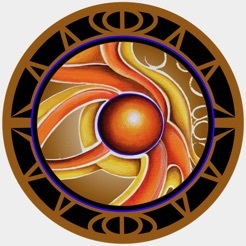 Raise your own frequencies utilizing the APP serious for conscious alignment and expansion. Enjoy the personal benefits of Field connection. 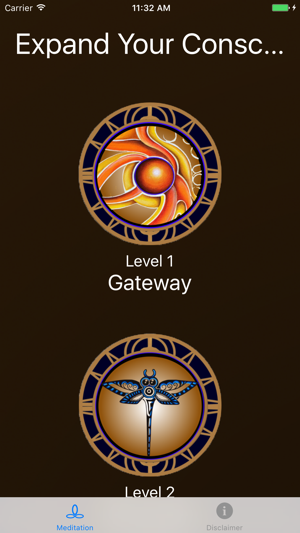 Enter the Gateway Level 1 and start your personal journey. Please Note: This app is not intended to be a substitute for medical care. 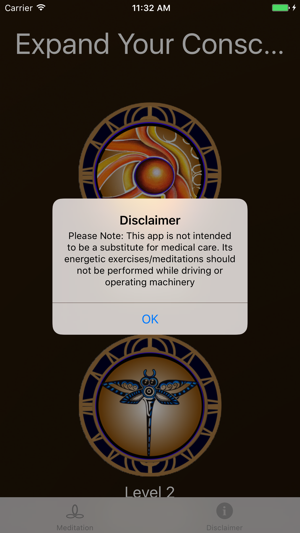 Its energetic exercises/meditations should not be performed while driving or operating machinery. This is the most effective tool for changing how you feel about your life that I have ever encountered, and I struggle to think of what might rank as second. This app is PERFECT for people, like me, that think self-hypnosis is a great thing but just takes too long to get to the point, and maybe also for those who over-think. But it has become so much more than just that to me, on this, my fifth day of using it as the fulcrum to reframe my world. I'll let others speak to how effective the app is for those who already have become exactly who they want to be, but as a person who is clear on how I want to change, but struggle incessantly to make it happen, this app is the cat's meow. Thank you developer(s). Nice.